I'm in touch with a woman who's family owned. Apparently there was a bad fire in 1951 or 52. She couldn't remember the name & I found on a Dome Shadows Facebook group. Thx for the info. I'll encourage her to join our discussions. My grandma, dad & 2 younger siblings came to Houston in 1936. My dad had a rough ice route. Airline, Tidwell, Parker & Jenson. He bought a truck from Mr. Jolley who owned Polar Ice. Well we thought we knew. I've inherited photos & letters of my grandmas. Letter came from a sailor cousin & he pined about The Polar. "He'll never forget when Bill wrecked Old Man Jolley's truck & had to buy it". " The rumble they were in that night was exciting". These 2 hood thugs became a well regarded dentist in Oak Forest, Dr. Troy N Moser & Vice President of Builder's Hardware Inc. on Holmes Rd, Bill F Moser. My dad Bill was 11 when he started the route & bought the truck at about 12 yrs old. Exactly. I found article in The Press when I googled it. My dad's business was 5101 Holmes @ Cullen which became 610. And my husband had a lounge across from Wyatt's Cafeteria on O. S. T. called The Roxy in the early 70s. Old stomping grounds. I read they're going to auction some of the equipment. Hope I didn't miss it. Cleaning a closet yesterday, I came across a print I bought at Story Sloane's gallery on Dairy Ashford 2 Fathers days ago. I believe it to be about 1914-1915. 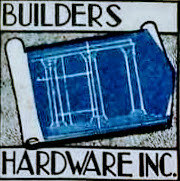 My husband has been in The Bricklayers & Allied Craftsman Local 5, since 1953, 68 years of service. What struck me in the photograph is the fact that the tools of the trade haven't changed in 100 years. I'll try to photograph some of our tool "collection". Was it just the ice cream plant? I always thought it was the milk dairy also. So sorry it took so long. I have lots going on right now. I would think on the Pasternak subject I can't swear, but I'd almost bet the farm it would be yes. And Butera's definitely a yes. I was born in 57 so earlier history would be passed along by kin. I knew of the Pasternak starting about 5 years old. My mom's mother died at 30yrs old. Her sister I mentioned in earlier post was our maternal grandmother figure. I'm not sure who her partner was in the Jet Coffee Shop inside Houston Municipal Airport. Definitely her catering company was partner was Mr. Aaron. I have a little history on the Butera family. Now where I put it? Lol. This newspaper clipping was in my grandma's treasures I inherited. She has probably 100 clippings. Even if it were friends of a friend, she meticulously cut them out and kept in envelopes. This is board of directors for Lucky 7 Supermarkets. She would have known Mr. Trahan whose store was in Denver Harbor and she knew of the Pasternaks who had Garden Villas Supermarket. My great aunt on my mom's side. Angie Runnels was the demonstration lady there. She and Mr. Aaron were partners in other ventures. She originally had the Jet Coffee Shop in Municipal Airport and their last venture was a catering company for the oil company jets. A box lunch with fried chicken, buttermilk biscuits & a slice of pie or cake. Her last job without Pasternak partnering was greeter at McDonald's on 610W & Fannin. She was in her 90s & legally blind. She lived to be 101. Unfortunately, it is the norm and not a rare exception to keep a building, much less keep it historically correct in renovation process. I know for a fact it can be done & should. My husband who is about to be 82 in August graduated from Austin & went on to union bricklayers local 5 at 17 years old. We have done several homes downtown that were either already denoted with their historical building sign or applying & renovating. We also did the work at San Felipe de Austin, a replica of Stephen F Austin's building in the community of the "Old 300". Historically correct even though a replica. I originally joined this group over the Farmers Market on Airline Drive being sold & scrubbed clean of the "messy" old buildings. Houston has always been a transient city with newcomers outnumbering natives. Not much sentimentality when they are not from here. Makes me sad. I found a seller on a buy/sell sight & a lady was selling some families photos she'd retrieved from a storage unit she'd purchased. She wanted $100. I was a little off put. I messaged, asked about any identifiers. She sent me enough that I could find the family. She gave me permission. I found a likely candidate on my genealogy site within minutes. Messaged & waited. It was his grandmother who he'd had no photos of. He was not upset about his pictures being put on the market. Said he'd gladly pay her & considered her a rescuer. He got all the pictures, her wedding gown & a train set he played with as a child. Movie theater photo is from 1940 announcing Tex Ritter Live. My cousin taught English there for many years. She had the G&T students. Many former students in the Texas Educational System. Who remembers POTUS Ronald Reagan's State Visit to Japan from November 9th, 1983 ? Correct. We went 2 places for produce on Saturday mornings...Farmers Market or Produce Row. We knew both clans but I don't ever remember saying Caninos or Elizondo Brothers.